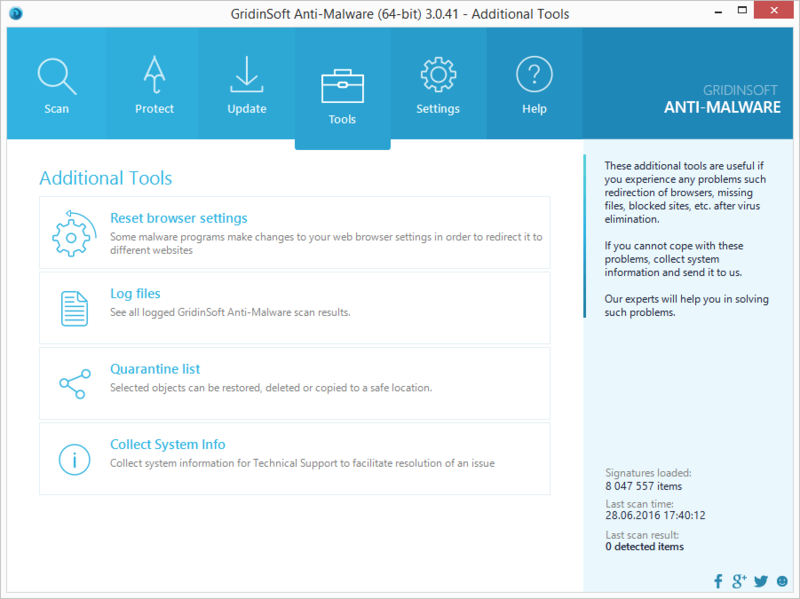 GridinSoft Anti-Malware protects your PC from many kinds of web threats, including malware, adware and PUPs. The developers of Anti-Malware said that their product has unique scan technique and it can detect many items for removal, including many PUPs, adware, malware, browser hijacker and etc. In this review we are going to test how it detects virus what we randomly choose from the Internet. The result of this research you can find below in this topic. 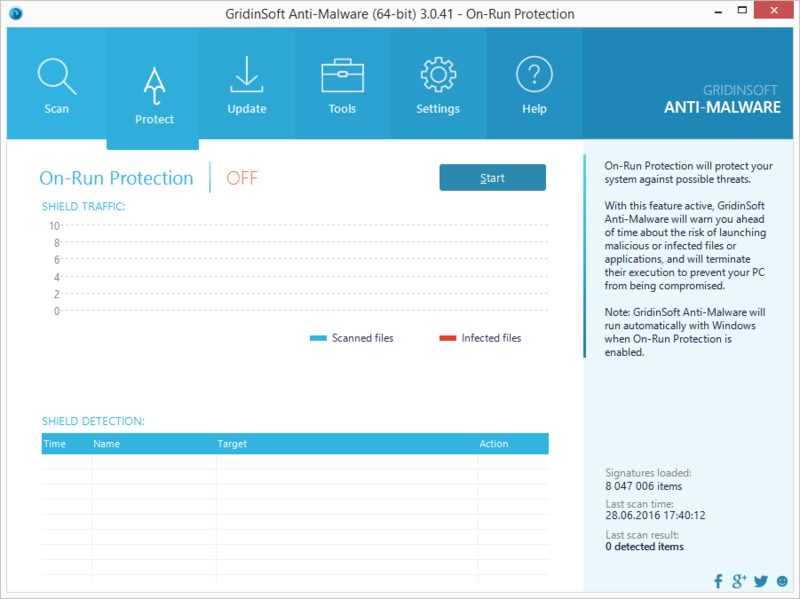 First thing first let’s see at the GridinSoft Anti-Malware from inside. Quick scan – this scan won’t scan the whole system bit will check the most critical part of it (places where viruses often can be). It can save your time if you need to check your PC fast. Average time 8-15 minutes. 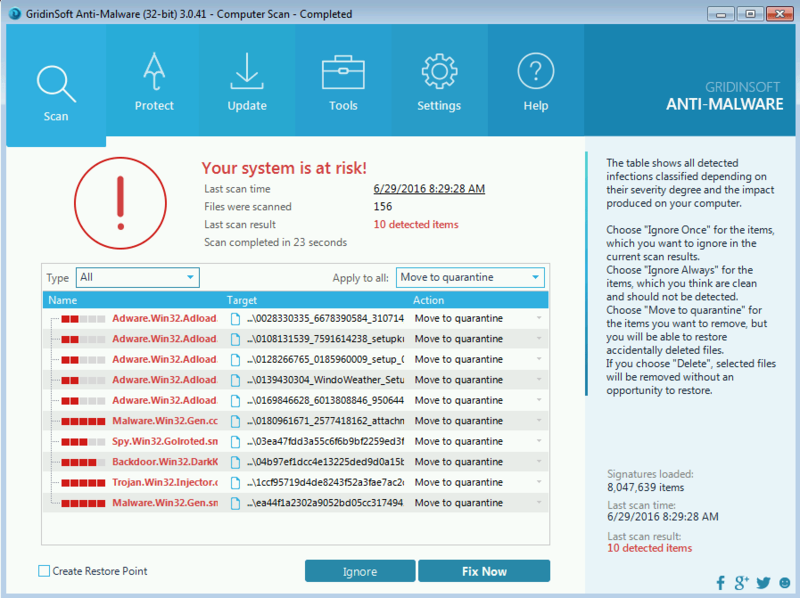 Full scan – well, now this scan GridinSoft Anti-Malware will go thru your system completely. Of course, this type of scan will take more time, but also it will find understand viruses what “Quick scan” didn’t find. Take 26 minutes to complete the scan. Removable scan – this scan will help you to check any removable devices what currently connect to your computer. Custom scan – will scan that directory what you choose. Really helps if you get many new files or you know where can be the virus this scan will help you to save your time, find threats and remove it. The second tab in GridinSoft Anti-Malware called “Protect” and here we have On-Run Protection what going to secure your computer from any viruses before it gets into your system. Unfortunately, this futures disable by default and if you are trying to “Start” it this program will ask you to buy a license. Well, you are going to find about price of this program a bit later. Nothing to do here for now. Later I’m going to purchase this program to show you this On-Run Protection. Next step tab is – Update tab where you can get the new version of the program or update virus base. 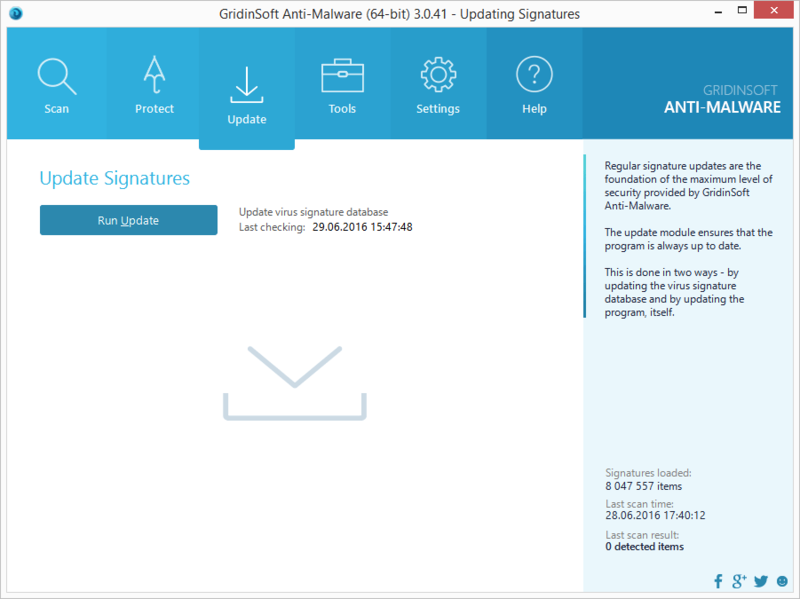 Well, while we write this review GridinSoft-AntiMalware get about 2 updates of virus signature database with mean that developers really do something to detect new kind of viruses and threat. Good one GridinSoft, good one. By the way, you can read a short description of any tab in the right colon, it’s very help if you didn’t understand what to do with this tab. Reset browser settings – this tool will help you to clean your browser from unwanted add-ons, restore your browser settings and remove unwanted redirects. If you need, you can restore your browser completely, so it will look as if you just installed it. Well, this tool is free to use, so if you need to remove redirects from your browser or any hijacker go this. 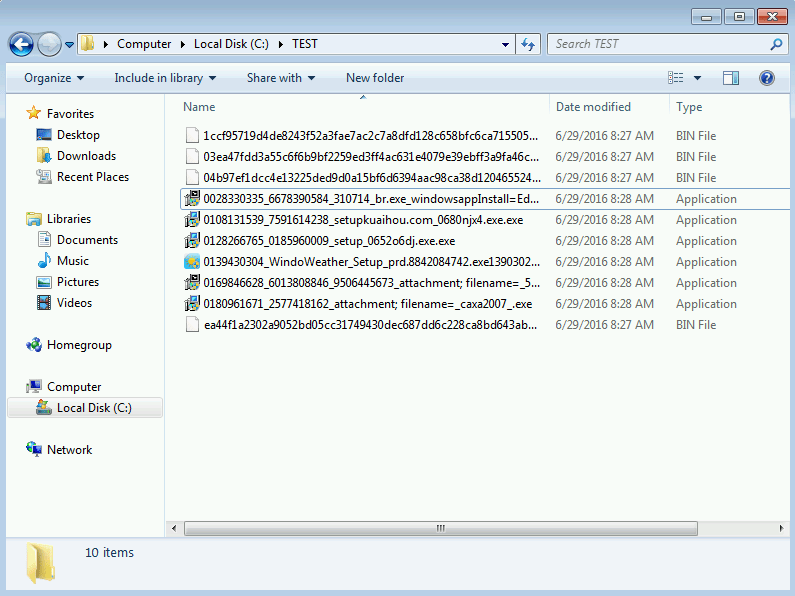 Log files – is some kind of history in this program. You can see everything what this Anti-Malware detect and when (in other words – scan result), check additional information about the files or see where what file was detected. Quarantine list – here you can find information about what files were detected and if you choose “Move to Quarantine” you can find it here after the removal process. If you know that the file isn’t dangerous you can find it here and restore it. File from the quarantine list will automatically removed from your computer after the 30 days (by default). Collect System Info – this tool will create reports about your system, so you can send it to the technical support where they will help with virus related issue on your computer. This tab allows you to change the most important setting GridinSoft-AntiMalware like – what kind of scan will begin automatically after startup, language, how you will get database updates and etc. You can also set the scan settings like “Deep scan” or “Heuristic rules”, this can add about 5-10 minutes of your scan, but you will be sure that your computer clean from viruses. In additional here you can put some trusted files to ignore list and set schedule scan of your system, so you are sure that your computer is protected even if you won’t restart it or make a scan by yourselves. 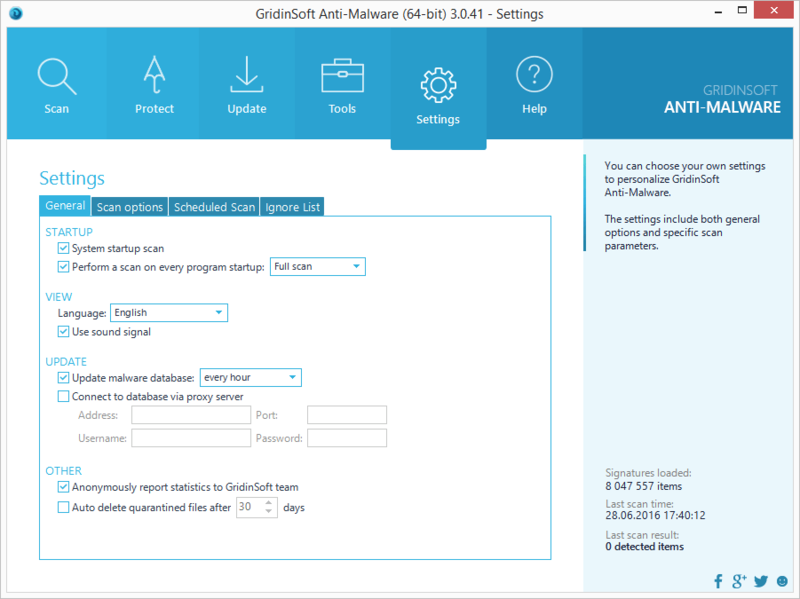 After you purchase any of this license you will get the key what will give full access to every futures of GridinSoft-AntiMalware program. 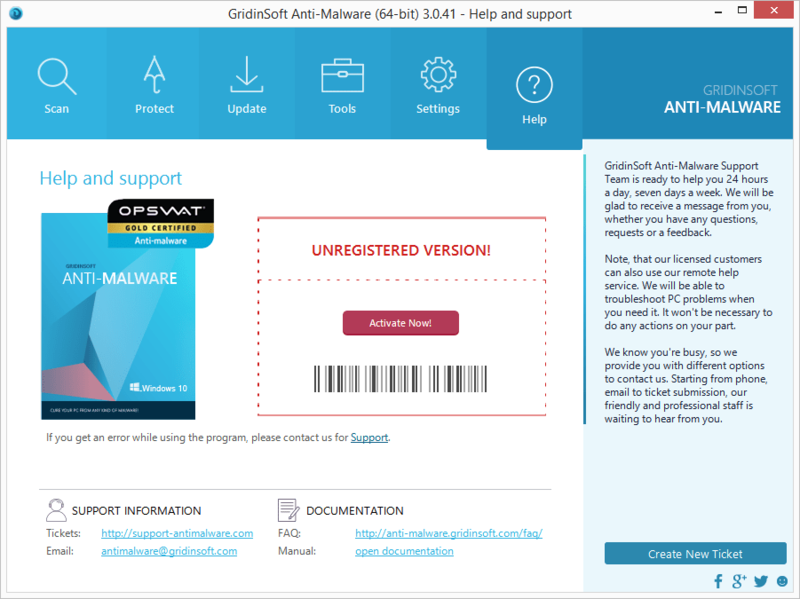 In additional on this tab you able to contact with GridinSoft support or create Ticket if you have any problem with the program or read Anti-Malware documentation like the FAQ or Manual. By the ways in the bottom-tight corner you can see buttons what allows you to visit the official Facebook page, Twitter or if you press the smiley face you can leave a feedback about this program. After all, we are going to check how good is this program. We get ten malicious files what infected with viruses, you can see these files below. After we do a full scan GridinSoft-AntiMalware can detect 10\10 viruses and that’s how it gains out respect. This program indeed can save your computer from viruses and threats. Unfortunately, we can only detect the virus, but not to remove it. After you press “Fix now” button this program will ask you to purchase the license. So we are going to show you removal process a little bit later, after we got the key. For now on just using 15-day trial version and keep on testing. If we notice anything else we update this topic. Free trial of 15 days is very limited. 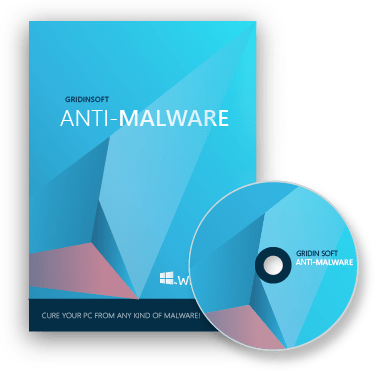 Tagged about GridinSoft Anti-Malware, GridinSoft Anti-Malware, GridinSoft Anti-Malware review, what is GridinSoft Anti-Malware. Bookmark the permalink.